For the semester project, i’ll be working on 2 different ones. One will be with Paige and Harina, working on a glasses insert to enable a person to lie down and not have their glasses shift away. Paige recently printed out the first prototype, and it looks fantastic! I’ll be playing around with the design this week to see how we can it get it fit different types of glasses and also how we can get it to stay on. I will also be working on a personal project of interchangeable hooks. I’m one of those people who love to stick hooks everywhere so i get to hang my stuff up instead of leaving it on the floor or in a cabinet somewhere. However, it gets annoying when i have to buy different hooks when i no longer need it for a certain purpose such as hanging clothes, but instead wish to hang a painting there instead. As such, I wish to design a hook that allows me to swap out different hooks without having to remove the hook from the wall to put up a new one. Not entirely sure if i can get it done by this semester, but fingers crossed!! This week marks our final week at the CU FabLab, where we had spent 3 wonderful weeks learning from the professionals in the lab. Laser cutting was this week’s theme, and the variety of application of it was honestly mind blowing! With the lasers, we could print designs on notebooks, pieces of acrylic plastic, or wood, which also happens to be my medium of choice. I wanted to make a keychain for my best friend, whose birthday was this week. The process itself was relatively simple: Find a picture, open it in the program, vector it, clean up anything else that you don’t want, draw a 0.01 border around it so that the laser knows where to cut, save as a pdf and bring it over to the printer! While the safety precautions can seem pretty overwhelming, it’s basically turning on many machines to ensure that there is continuous airflow to prevent anything from spontaneously combusting since the laser was essentially burning the wood. 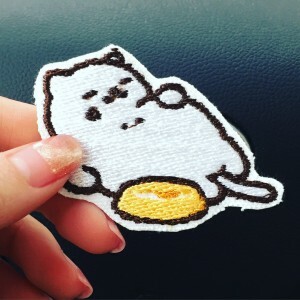 Of course, being such a lover of the game Neko Atsume, I couldn’t resist printing some cute keychains for myself as well. I’m glad to have been able to learn about laser cutting/printing, since I now know how to utilize a resource for creating professional looking art designs that require etching. Our organization had wanted to do something similar to this but the sheer cost to do this commercially was too high. Now I’m glad I’ll be able to help them out since I can definitely go back to the lab to do it myself. 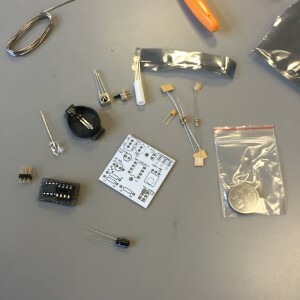 Week 9: Building a 3D printer (or upgrading one)! This week we had the 3D Printing Expo in the BIF atrium where we built a 3D printer, upgraded an Ultimaker 2 to become an Ultimaker 2+ (or 2x, depending on how you place the sticker on the printer), and did scans of students’ head and torso + printed them! Together with Toheeb, Pri and Reid, we worked on upgrading the Ultimaker, which was a ton of fun! While the process itself was not hard, trying to figure out the instructions as well as secure proper tools to work with was a bit of a challenge. The wiring was a little tricky too, but thankfully, the board itself was labelled clearly so we worked it out in the end. Being able to work on the printer was a fun experience, and it gave me a better understanding of how the printer works and what to look out for.If I were to purchase a 3D printer in the future, I definitely would look forward to making changes and upgrades to personalize it to suit my needs. Now that I know how to upgrade an Ultimaker, I definitely look forward to working on the rest of the printer in the lab when the upgrade kits come! 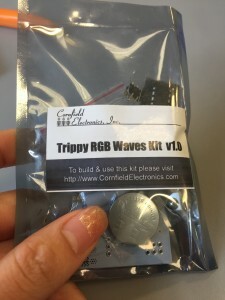 Week 8: Soldering some trippy LED lights! 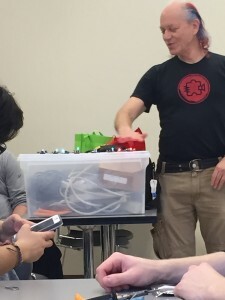 This week we had a guest lecture/workshop by Mitch Altman, founder of Cornfield electronics and a U of I alumni! He is also the creator of “TV-Be-Gone” and co-founder of Noisebridge, a SF hackerspace. 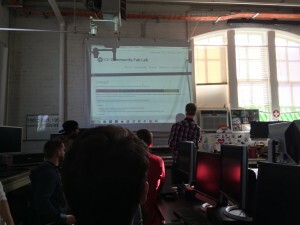 Mitch started off with a short presentation of himself before leading into the soldering tutorial. ^Materials that we are working with. While I’ve done some basic soldering before, this was an eye opening experience for me. 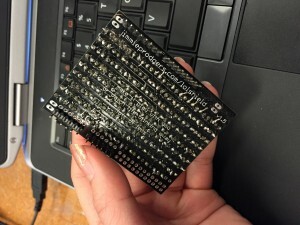 When working on soldering for my projects I kind of went into it blindly, not understanding the concepts behind it and how to actually solder. Mitch taught us the proper way to solder, by holding the wire straight and below the soldering iron so that it would actually melt into the place we want it to be at, as well as holding the iron in place for a couple of seconds so that it has time to melt into the crevices. He also taught us the smoke emanating from the wire is due to the sap contained within the wire evaporating as it melts. Being able to get hands on is something i appreciate the most in this class. Being a business major means that I rarely get to work on stuff as exciting as this, and I am really thankful for this chance. 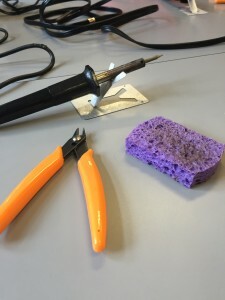 Now that I know how to solder properly, I look forward to being able to apply my knowledge into making bigger and better props that has more functions and features! Want to learn more about 3D printing and see the printers in action? 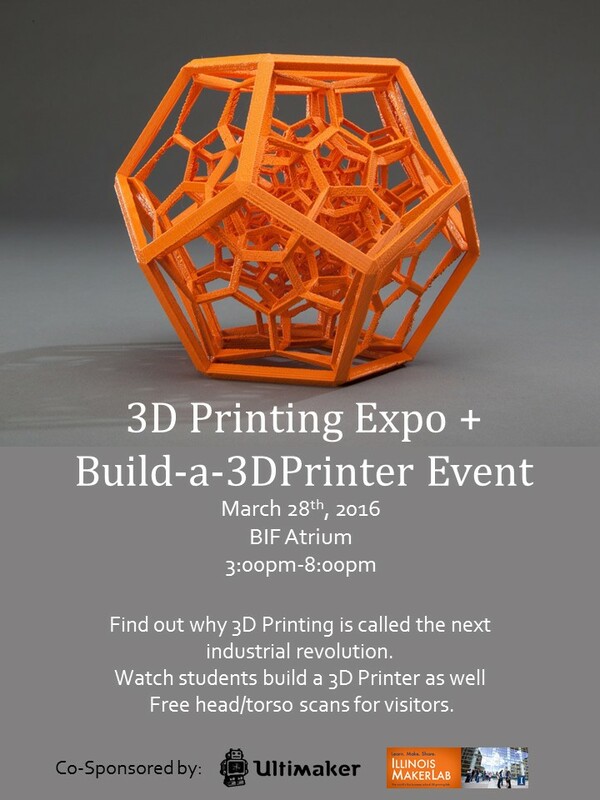 Come out to the 3D Printing Expo + Build-a-3D Printer Event on March 28th, 2016 at the BIF Atrium from 3:00pm-8:00 pm to experience 3D printing and find out why 3D printing is touted as the next industrial revolution! 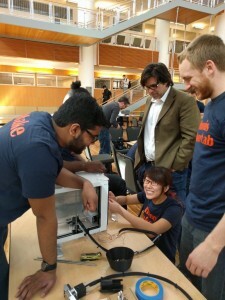 Students from the BADM 395 Digital Making class will also be building a 3D printer in the atrium for all to see, so take a look! There will be free head/torso scans for visitors who would like to see how they would look like as a 3D print. See you on Monday, March 28th, 2016! 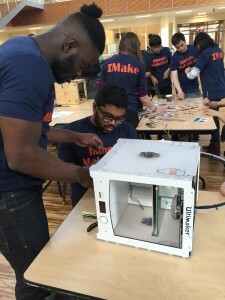 This event is proudly sponsored by Ultimaker and Illinois Makerlab. 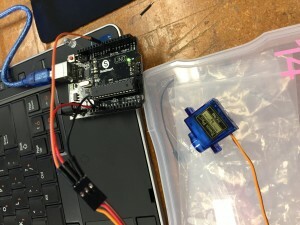 Week 7: CU FABLAB Part 2! Week 2 out of 3 for the CU FabLab! 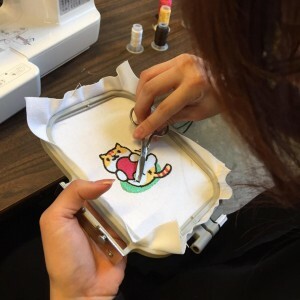 This week, we worked on digital embroidery, which was cool and the key to so many things that I would like to work with when it comes to making patches! ^ The machine that we used. While this process was seemingly straightforward, there are multiple steps that require delicate handling and work. 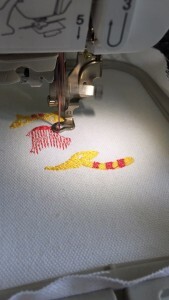 To start off, first, find a picture that you would like to embroider. Next, upload it into a proprietary software, SewArt, and reduce the number of colors on it through the ‘Merge’ function as well as trim so that it is within 4in by 4in. Any larger than that the machine would not be able to print it. ^Back view of the machine in action. Once all those were done, just upload the file to the machine and select the threads that you would like to use! Choose wisely if not your embroidery is going to come out weirdly colored! 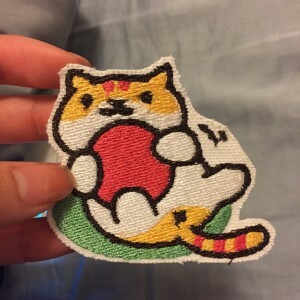 Since I’ve been crazy about Neko Atsume (a cat collecting game), I decided to print out one of the cats from the collection! It was a relatively simple print, with six colors. The tricky thing with these machines is that they have a tendency to scramble your thread if it is not placed correctly, so keep an eye out while it’s working its way through! 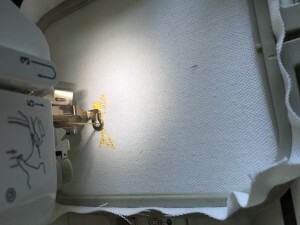 It is important to cut away all the excess thread when the machine goes from one part to another since it might be overlapping another color’s area! Honestly, before this class, I have never thought of fabrications as something that can be digitalized. My impression of fabrics is always the traditional hand sewing or a person using the sewing machine. This embroidery machine works almost like a 3D printing machine, just with different materials and techniques. 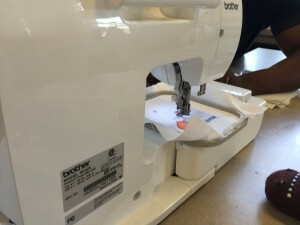 One good thing about these machines is that if an error was made, one can just lift up the needle and backtrack it so that the machine reembroiders that part. Maybe 3D printings might have this function one day too? A failsafe in case something happens! Now that I’ve learned how to use this machine, I’m going to explore more into it and see if I could potentially add this to my project! Maybe one day I might be able to justify buying one of these machines to use on my fashion projects. 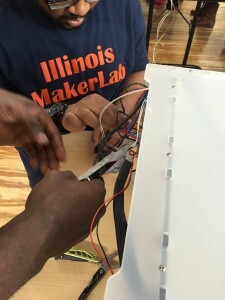 Week 6: CU FABLAB PART 1! 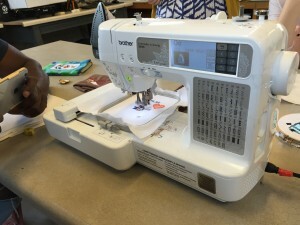 This week we went to CU FABLAB to learn how to make with Arduino, laser/vinyl cutters, digital fabrics! 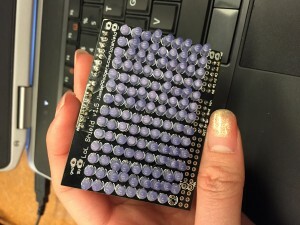 I got the chance to try my hand at Arduino, which turned out to be super fascinating! Sorry for the photo spam that’s going to happen in literally a second, but it was a very trigger-happy day for me. 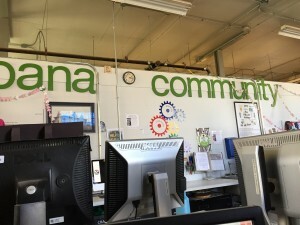 We took a tour of the Fablab after Jeff’s presentation (didn’t take any pictures), and sat down at the Arduino section with Colten. 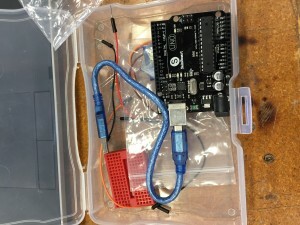 He gave us a broad overview of how it worked and ran us through a tutorial of how to make the LED blink on command as well as how to make the motor move. 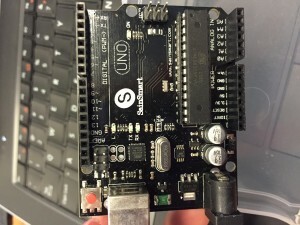 ^ My first contact with an Arduino board! ^ The front of an LED Arduino panel. I hope I can work with this one day! ^ The Arduino hooked up to an LED light and a motor! This session was fascinating to me, and I’m glad to have the chance to try out this! When I was younger I was part of the robotics club, and we did something similar to this, just with Lego blocks that functioned like an Arduino. Being able to wire and reroute and program my own program made it super fun! I would definitely come back during spring break to putter around the lab and try out more stuff. This has giving me many ideas to work with regarding the final project, and I’m super excited to get cracking on it!